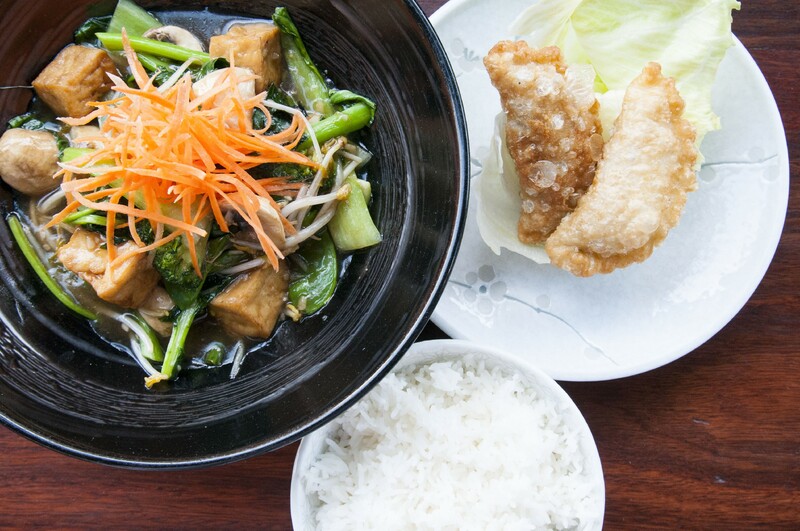 The restaurant menu is a huge responsibility. It is an ongoing conscious effort required to invoke freshness to this relationship. Introducing or replacing a menu entry is one of the hardest job in the world. One must be passionate and committed with exercise. “Recipes don’t work unless you use your heart”. 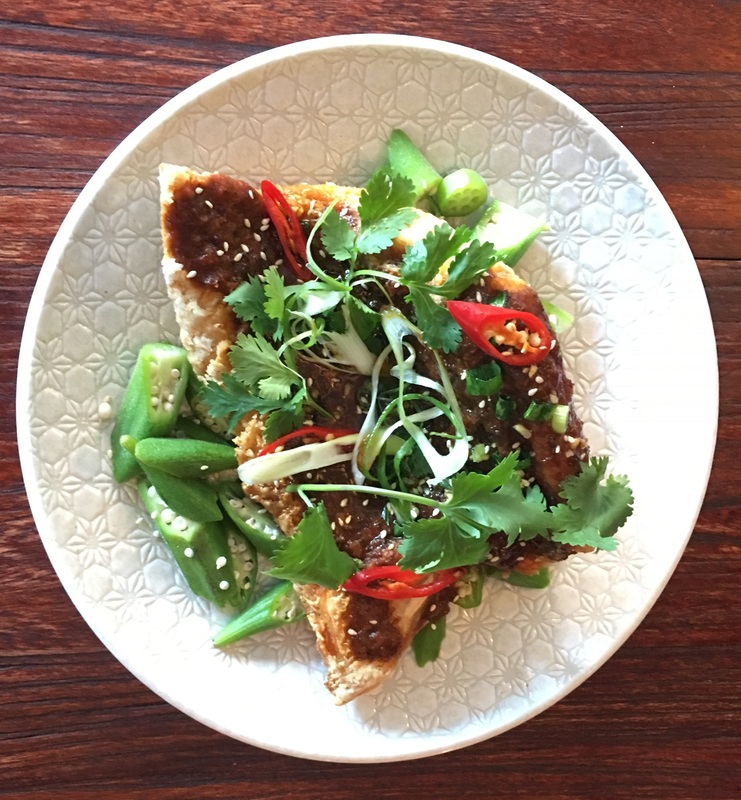 We dug deep into local fresh produce and cultural heritage to bring out the successful Nyonya inspired Sambal Wild Barramundi. No MSG or canola oil are used in our recipes. Gluten free (GF), tofu vegetarian, no onions (NO), no garlic (NG) options are available, we are more than happy to accomodate. 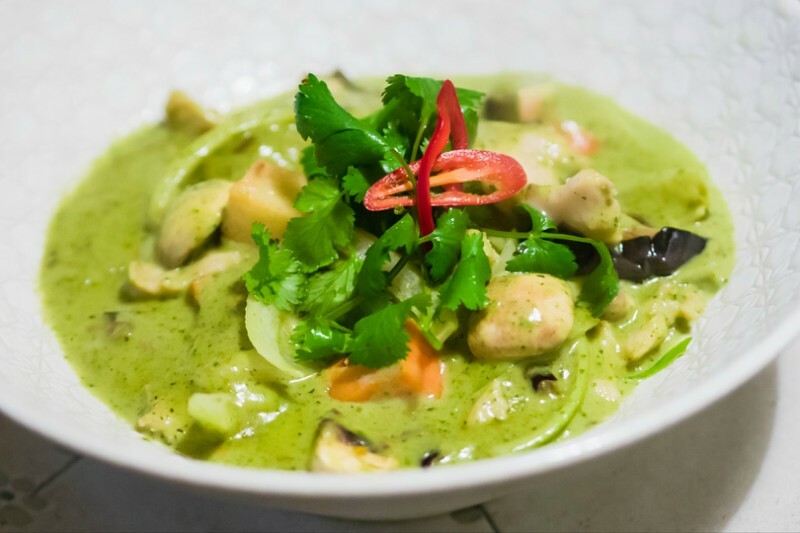 Chicken breast, tofu, prawns or vegan with grilled eggplant, mushroom, coconut cream, basil & mint. 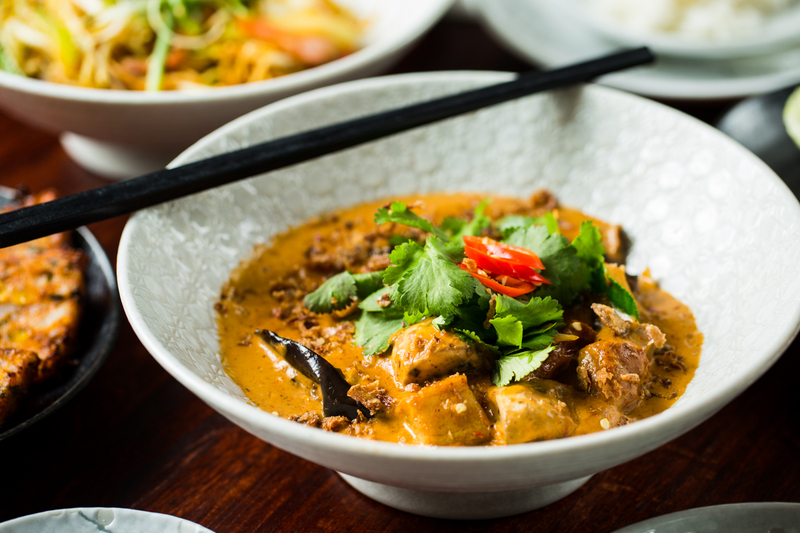 Roast duck, tofu or prawns cherry tomatoes, Thai eggplant, pineapple in a Thai red curry sauce. 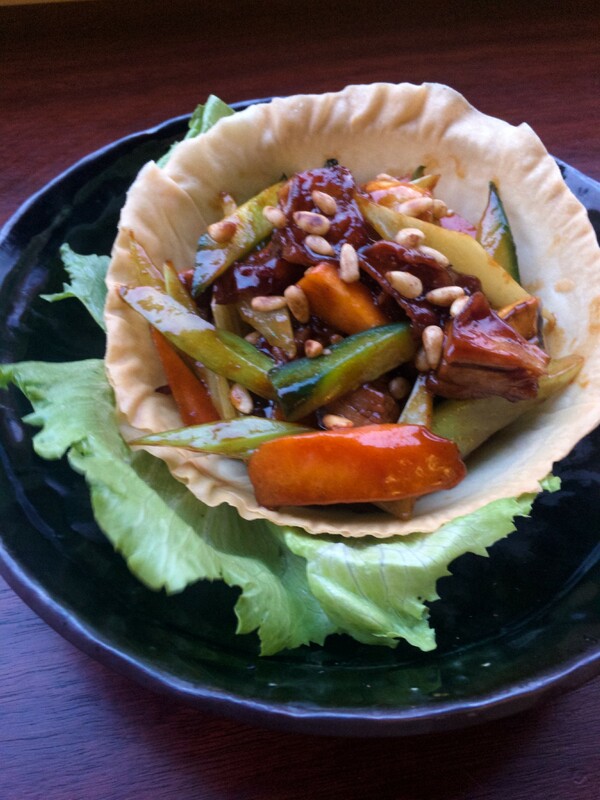 Stir fried with diced vegetables in hoisin & tamarind, drizzled with pine nuts. 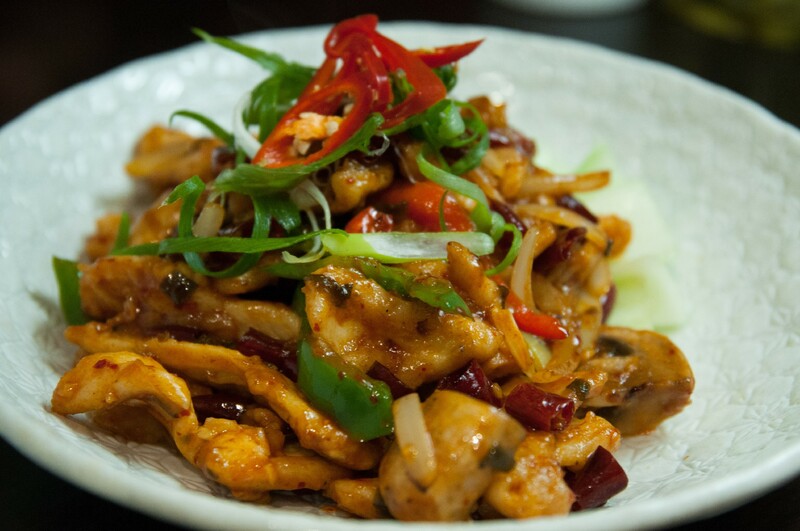 Chicken breast wok fried with onion, dried chili & capsicum in sweet chili vinegar. 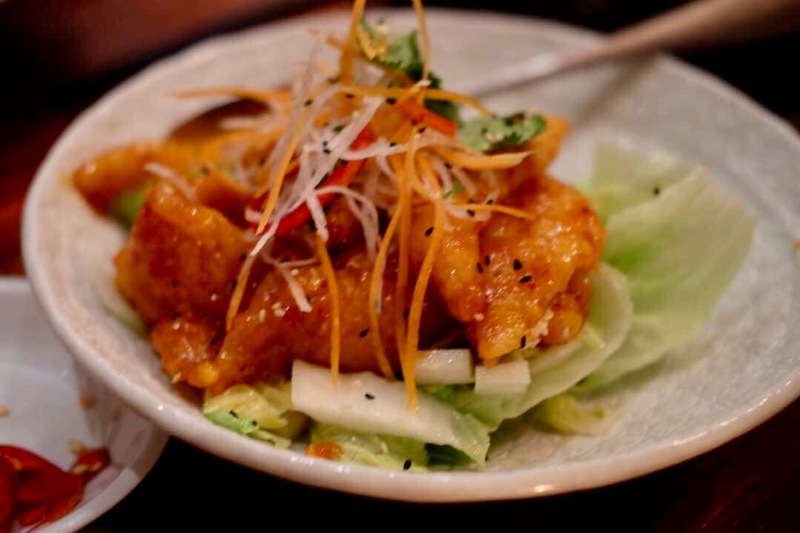 King Prawns or chicken cooked in Thai basil, lemongrass, chili & palm sugar. 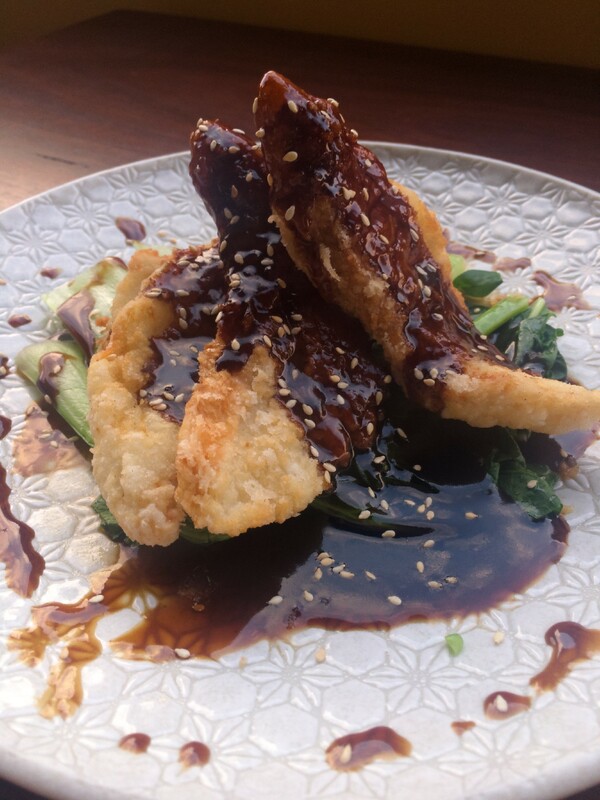 Rump slices, mushroom & spring onion in Asian BBQ sauce, served on a bed of spinach. 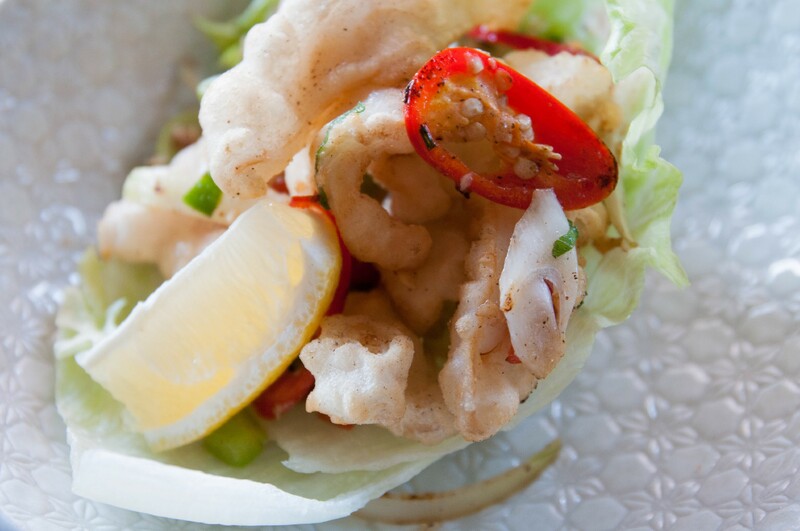 Salt and Pepper CalamariLightly crisped fresh calamari tossed with capsicum, garlic and spicy salt. 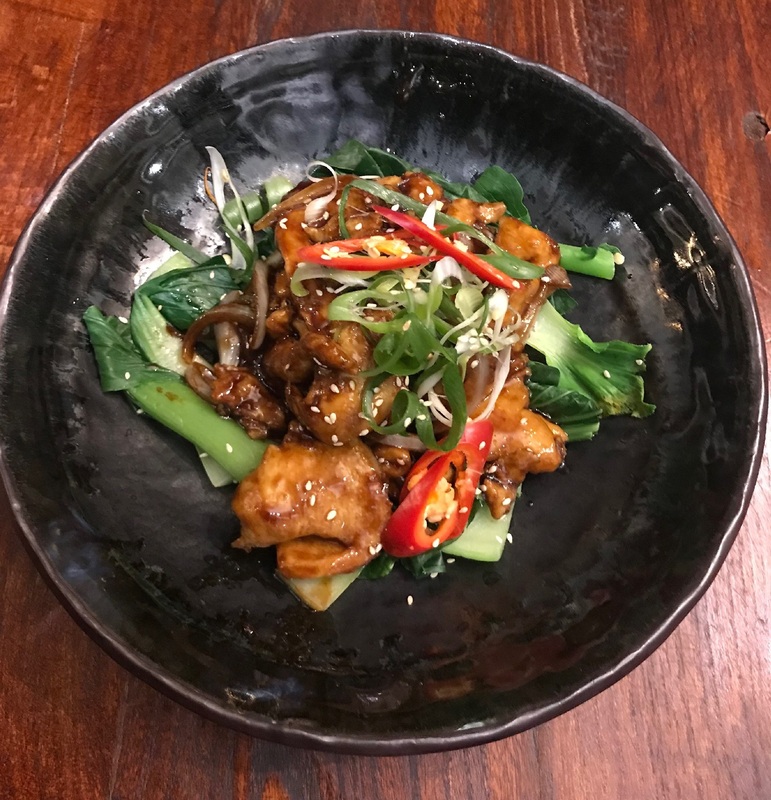 Lightly battered Rockling fish fillets tossed with sweet chili plum sauce. Sliced beef rump wok fried with sweet sour sauce and Chinese wine. Chicken breast with light coconut milk, lemongrass, lime, satay sauce. reduction. Served on a bed of bok choy. Sliced beef rump with ginger, sesame, chili and light soy. 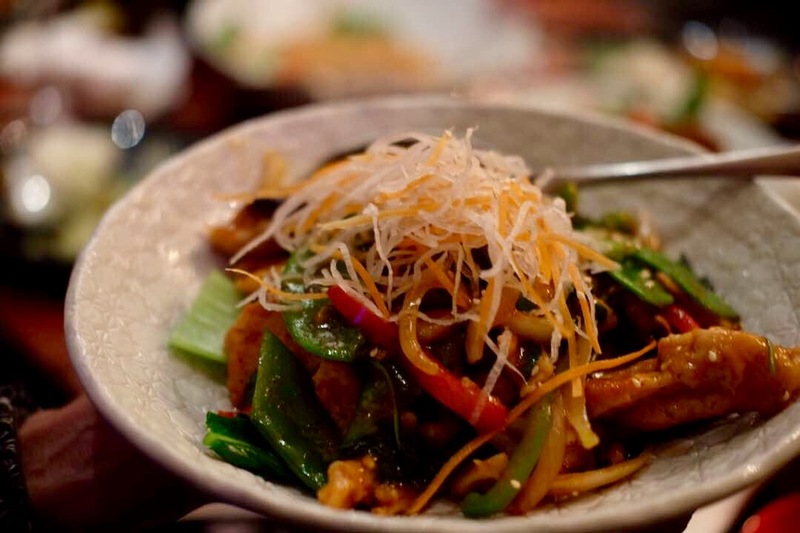 Diced tofu served with seasonable mixed Asian greens in an oyster sauce. 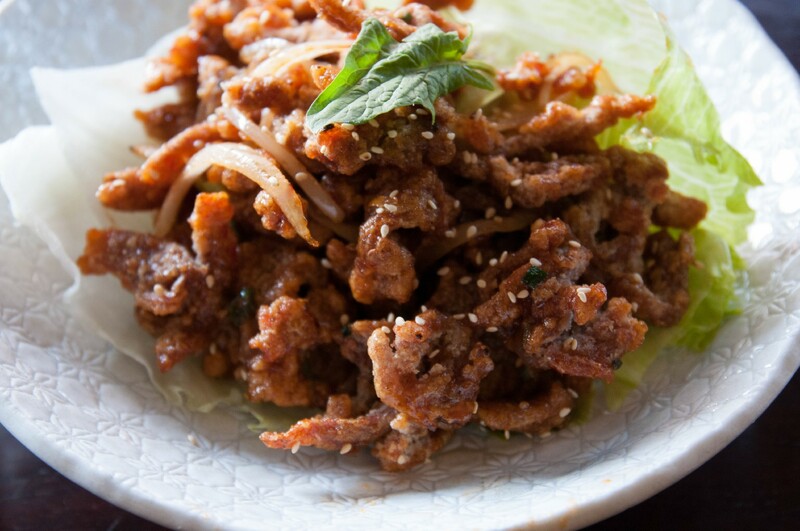 Crispy battered, marinated beef or chicken strips tossed in Peking plum sauce. 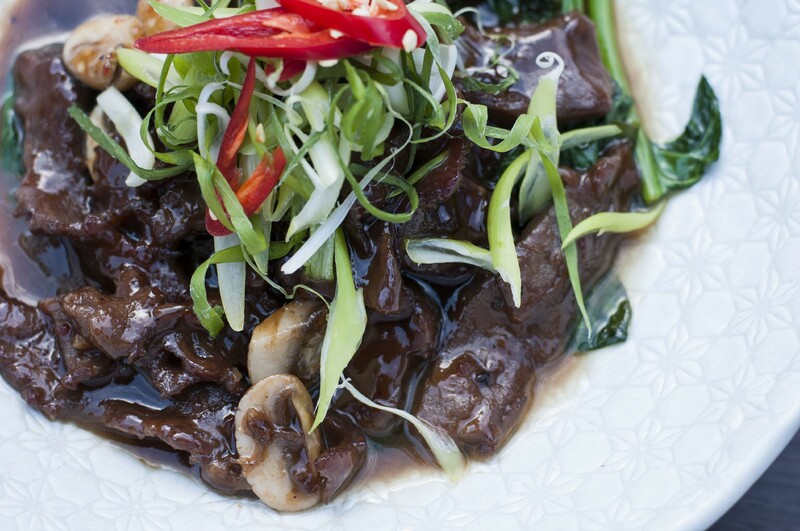 Stir fried beef and seasoned vegewtables in a freshly ground black bean sauce. Cooked in a sambal sauce served on a bed of long beans and okra (Nyonya inspired dish).